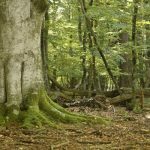 Forest owners and foresters face many challenges: Climate change, increased environmental protection requirements and at the same time the desire for efficient management. The concept of close-to-nature forest management provides solutions. Here you will find some basics. Natural forest management requires qualified decisions. This is why the principle applies: more forestry experts instead of more machinery. Close-to-nature forest management requires rare maintenance interventions. Close-to-nature forest management supports the natural distribution of native, site- appropriate tree species that are more resistant to disturbances such as storms, drought or bark beetle infestation. This reduces the financial risk of the operation. Close-to-nature forest management focuses on individual trunk use and quality instead of quantity with regular yields. 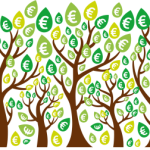 The mixed forest promoted by close-to-nature forest management allows a more flexible response to the demands of the timber market and thus achieves better prices. 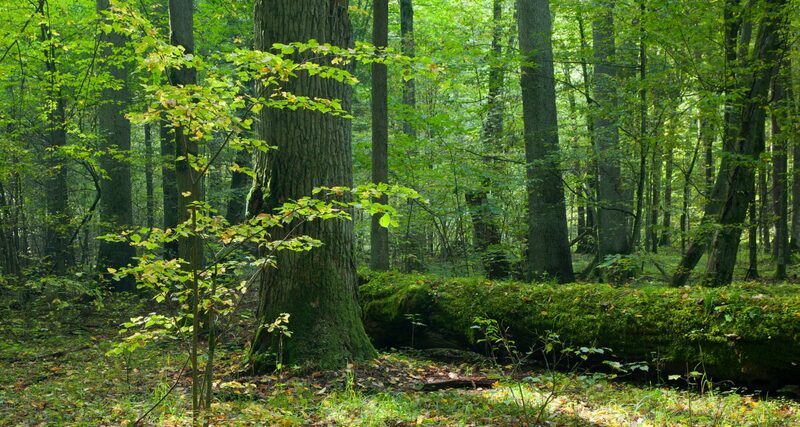 This silviculture approach, also known as „integrative process protection“, has been applied since the mid-1990s in the forests of Göttingen, Lübeck and Uelzen, among others communities in Northern Germany. On several thousand hectares of forest the management of the forests was changed in such a way that with a minimum of manpower, energy and capital a preferably good economic, ecological and social „operating result“ is to be achieved (minimum principle of economy). Reference areas in the forest serve as a comparison of how close to nature forestry use is. In addition, three indicators show how sustainable the forest will be in the future – the proportion of deadwood, the proportion of strong, old trees and the extent of valuable timber production. Close-to-nature forest management needs rare interventions. Close-to-nature forest management supports the natural distribution of native, site-appropriate tree species that are more resistant to disturbances such as storms, drought or insect infestation. This reduces the financial risk of operations. The mixed forest promoted by close-to-nature forest management allows more flexibility in responding to the demands of the timber market and thus achieves better prices. Close-to-nature forest management relies on individual trunk use and quality instead of quantity. Close-to-nature forest management protects the forest soil as extensively as possible. 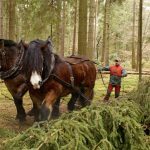 Ideally, trained foresters harvest the forest manually and move it to the back roads with winches or horses. In Close-to-nature forestry, less is harvested than grows back, with increased added value through the marketing of high-quality timber. Thus a stable and diverse forest with a high wood supply can develop through high growth.